How can they be up there so high, taunting me with their snide, wooly glares? Okay, the sheep didn’t have it out for me, but they are certainly better at climbing than I am. Near the top of Honiston pass in the heart of England’s Lake District, while I’m struggling in my rented bike’s lowest gear, one of those little buggers “baaaa’d” at me and scampered up a rocky outcropping in a matter of seconds. I’m a mountain snob, I’ll admit. Having spent dozens of family vacations in the Colorado Rockies, anything under 10,000 feet to me is a hill. The tallest “mountain” in England, Scafell Pike is only a whisker over 3,200 feet, a mere hillock. But then I tried climbing it on a fat-tire bike. Situated in northwest England, just south of the Scottish border, the Lake District is England’s most classically beautiful region with a mix of peaks (pikes), fells (sloping mountain meadows) and lakes (often called ‘water’ as in ‘Derwent Water’).¹ William Wordsworth and Beatrix Potter called it home (the area attracts a different type of Potter-head). Huge buses deposit lit fans at relevant sites, including Potter’s home, Hill Top, in Near Sawrey, along with several spots on the Wordsworth pilgrimage, including Dove Cottage, one of his homes near the cute town of Grasmere. But I skipped over all the cultural points and focused on the scene-stealing mountains. Knowing I’d surely encounter rain (it has been the rainiest summer in recorded history²), I chose to rent a better-in-rain hybrid bike ($25/day) from Country Lane Cycle Hire Centre in Windermere, the starting point of my trek after the three-hour train ride from London. Guy Fitzgerald got me set up with the bike, helmet and a set of panniers (and rain covers) to carry my gear. After a quick orientation with the map, I was off, getting used to riding on the left side of the road. While I did this as a trip solo, it would make a great family vacation. You could plan to ride as little as 10 miles per day, sticking to the less traveled country lanes and dedicated bike paths. Lake Windermere and Ullswater both have ferries that travel their length, so you could save your legs but still cover some ground that way. Those who want more of a challenge can easily add loops through the mountains to cover 50 to 70 miles. There are lots of cute pubs and tea shops to visit along the way. And since the sun sets relatively late in the summer (not until about 9:00 p.m.), you can stay out a long while. TransPennine Trains. Runs routes from Manchester and connects with train lines into London. Lake District stops include Windermere and Penrith. Trains from Manchester to Windermere cost about $33 one-way during off-peak times. Cycle hire. Country Lanes has mountain, road and hybrid bikes to rent by the day or more. Helmets and bike locks are provided. Maps and panniers are available. They also have some pre-planned self-guided tours. $20 to $30 per day. Ordnance Survey maps. The UK has a wonderful set of highly detailed maps showing hiking routes, driving routes and cycling paths. I used a general “Travel and Tour” map since I planned to cover a lot of ground. Windermere: Grey Walls Hotel and Pub. Windermere is a very touristy town and I couldn’t wait to get away. Still, it’s a good place to overnight while you make last minute plans and sort out your cycle rental. Grey Walls is less expensive than other inns; it’s not fancy, but the pub is friendly and the included breakfast is great. Literary connections. The Wordsworth Trust identifies major and minor sites of importance. There are many Beatrix Potter sites, plus a special ‘attraction’ in Windermere, which I did not visit. John Ruskin’s home and a museum is near the town of Coniston. Ruskin was a Victorian painter and philosopher who sought to link disciplines (like religion and science) — an all-around neat guy. Coniston: Yewdale Hotel. I can’t say enough nice things about this charming inn and pub. The managers, Steve and Diane, were concerned and welcoming when I showed up late after a flat tire. Owner Peter fixed me up with the local mechanic to get my punctures patched. Food and drink were both excellent. Try the Hawkshead Brewery Bitter. Castlerigg Stone Circle. Wonderful, uncrowded, and free — and a superb setting near Keswick. Greystoke: Stafford House. This small inn, which occupies a Victorian castle-like building on the grounds of the privately owned Greystoke Castle, caters to cyclists and is on the Sea To Sea bike route (C2C) that runs west-to-east from Whitehaven to Sunderland. Owners Hazel and Ian are a font of local info and truly lovely. The gardens alone are worth a stop. There are en-suite rooms in the main inn, plus bunkhouses for larger groups. Try the Black Sheep Bitter cask ale at the nearby Boot and Shoe pub. 1. 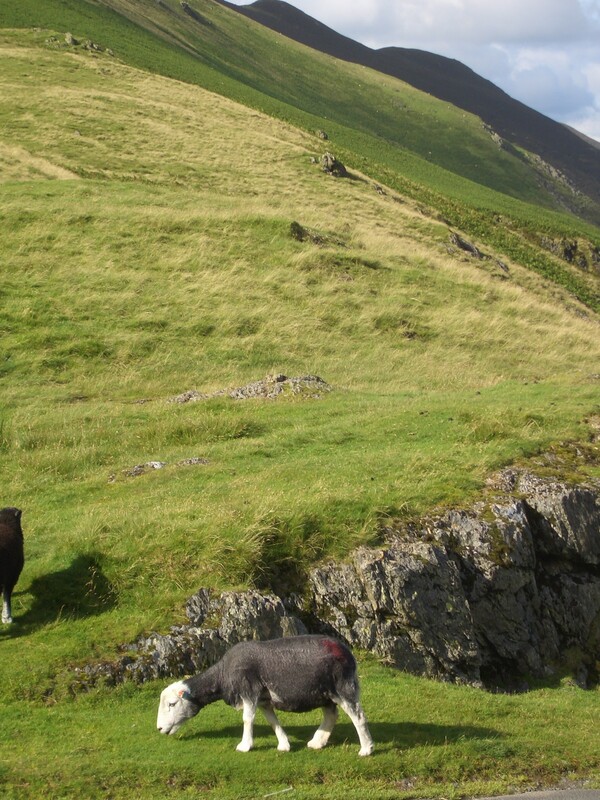 I’m pretty sure that 90% of the world’s jigsaw puzzles use an image from the Lake District. It’s that level of prettiness. 2. The national meteorological office started recording weather in 1910. 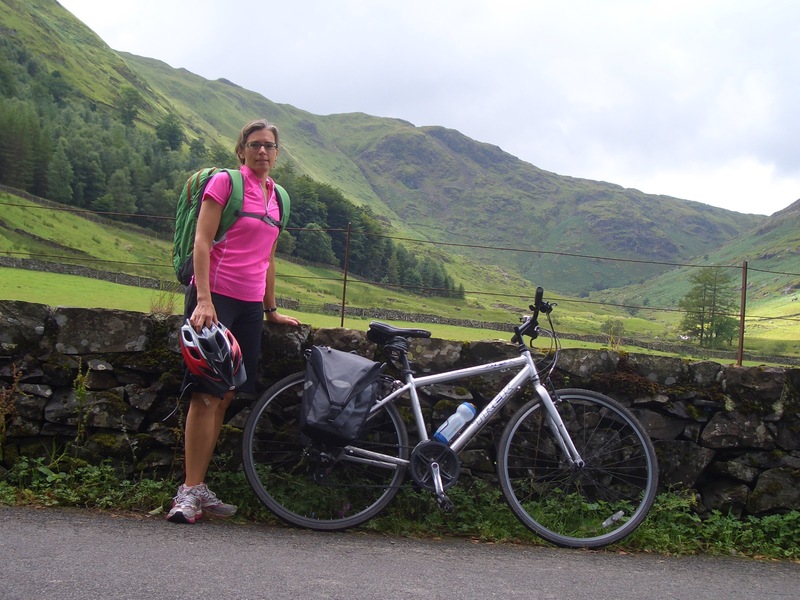 This entry was posted in Travel and tagged Beer, Cycling, Lake District, Sheep. Bookmark the permalink.